Music and movement are absolutely vital during early child development. The two are perfect in that they go hand in hand. After all, what draws out movement better than music? Proper child development takes time. Years! You can’t afford to waste that time with activities that aren’t perfectly suited for your child’s best interest. That’s exactly what this post will cover. Now I won’t get into why music and movement are so important. For that check out Why Preschoolers Need Physical Education or The Importance of Music and Movement. If you don’t feel like reading all of that, below are the key points. Children are very limited verbally on the emotions and thoughts they can share. It is important to develop proper movement skills so that children can become better communicators where words fail, create spatial awareness, and lead future lives as active movers and shakers. Music is the perfect tool to draw out this behavior. Children can think with their bodies and react to the rhythm that the music provides becoming more confident in expressing themselves, in some cases, with wordless actions. There are massive amounts of benefits to music and movement including: reducing stress, building confidence, expressing emotions, developing social & motor skills, exploring cause & effect, improving health, exercise, better memory, creativity & imagination, reinforcing language concepts, learning new words & concepts, awareness of body positions, improving balance & coordination, and refining listening skills (noticing changes in tempo or pitch). First start by giving your kids the materials to make their own musical instruments or noisemakers. Give them construction paper, empty paper towel rolls, paper plates, rubber bands, etc. Just be creative. Or you can bring in your own toy instruments like kazoos, recorders, and maracas. For extra credit, you can make some elaborate DIY musical instruments. Next, play the following song and have your kids strut around pretending to be in the band. You can even have a pretend band leader. Everybody knows this game. It’s a classic. You set up chairs in a straight line but every other chair faces the opposite direction. There should be once less chair than the number of kids playing. You start the music and everyone walks around the chairs. You randomly stop the music and the children must find the nearest chair to sit in. The child left standing is out. You remove 1 chair and repeat until there is a winner. This is just like Musical Chairs except there are no chairs. You press play and the kids start dancing. As soon as you stop the music, the kids must immediately freeze in whatever pose they are in. If they freeze too late or can’t be still, they are eliminated. Repeat the starting and stopping of music until there is a winner. Sit the children in a circle with enough room in the middle for a child to do a dance. Start the background music and have the first kid do a dance move. The next kid must do that same dance move and then add a new one. This keeps going starting from the first dance until a kid misses a dance. He or she will be eliminated and the game resets starting from one new dance. This teaches memory along with movement. For those that don’t know the rules to Simon Says, it’s where one person is designated as Simon (teacher/parent) and the others are the players (kids). Simon tells the players what to do, but the players should only obey if the commands being with the words “Simon Says.” If Simon says, “Simon says tap your right foot on the floor,” then the players must tap their right foot on the floor. If Simon says “clap your hands” without saying “Simon says clap your hands”, the players that clap their hands are out. Rhymin’ Simon Says is a little different and takes a little talent to be Simon. You start by playing a hip-hop instrumental. Now Simon raps the instructions to the beat of the song. Simon should really get into it so that the children can learn about feeling the beat as well as following instructions. 6. How Would You Dance To This? You make a playlist of the most random music you can find. Pick all genres even the unpopular ones. You play it, let the kids absorb it for a second and then ask, how would you dance to this? It’s a really fun game and you will get some hilarious interpretations. Be sure to share your playlists in the comments below to assist other parents and teachers. This is very simple. When the music is playing, the children must spin in a circle. When the music stops, they must try to stand on one foot without falling. This will also teach balance. Just don’t leave the music playing too long or after meal time. It’s best to play this game outside or in a room with a lot of space. You need a little bit of technical skills for this, or just a good app like Anytune Pro+. Play the song and have kids dance to it, then slow down the tempo. The children must match the tempo with their dancing. So when the music is slow, they must dance slow. When the music is fast, they must dance fast. There’s a way to take music & movement to the next level maximizing your kids learning potential. What if the songs that promoted dancing were songs that were packed with rhythm and educational content just for kids? I’m not talking about your typical nursery rhyme type song. I’m talking about some get-on-the-dance-floor-right-now-and-learn-how-count-to-20 type songs. We’ve put together a list of such music. These songs are ideal for ages 0-5, but as you will soon find out, all ages will enjoy. Make sure you comment on your favorite song too. Crazy ABCs. The Best ABC Song Out – Kids love this song because they can dance to it and they recognize the words that are being used. 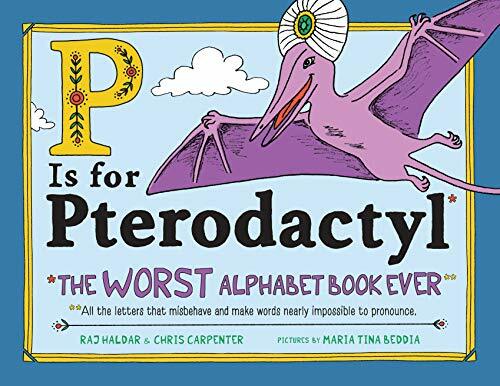 It induces them to want to listen more, which results in them learning the alphabet faster than just using the 200 year-old alphabet song. Smarter 123s. The Addictive Song About Numbers – Both kids and adults enjoy dancing to this song immensely. It teaches how to count from 1 to 20 using real-world examples that kids can relate to. The song also includes a positive affirmation about how well the child is counting, which will ultimately help with child-development even further. Teach Me How To Read. The Contagious Spelling Song – This is the perfect sing-along song for kids. It encourages children to learn how to read and quite simply, it jams. Your kids will learn how to both spell and identify simple parts of the body such as hands, eyes, feet, and more all while singing hard like they are on American Idol. Monkey Business. Countdown Song That Makes You Dance – This is everyone’s favorite. This song will get everyone moving. It’s the modern-day remake of Ten Little Monkeys. Kids will learn how to count backwards from 10 while dancing uncontrollably. Introduce You To Some Colors. 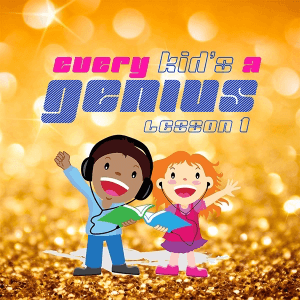 Greatest Rap Song For Kids – This is probably the single greatest educational song ever created. It’s an upbeat song that introduces children to the world of color. This song is also the recipient of a MASC award from the Songwriters Association of Washington for outstanding children’s music. Introduce You To Some Colors will teach your child the basic colors with examples of items they already recognize. Start playing this immediately. Quarter Dime Penny Nickel. Best Coin/Money Song Ever – It doesn’t get any better than this, an R&B ballad teaching your kids how to count money. This is the best way to learn. Even you’ll catch yourself singing this like you were giving a concert. Start your child on the path to success today and teach him/her about money. It’s never too early. Silly Song. Easiest & Most Fun Dance Song For Kids – This is the most fun song of all. Your child will be moving and learning motor skills in no time. This is a dance song that any kid can do. Watch them smile and love life. 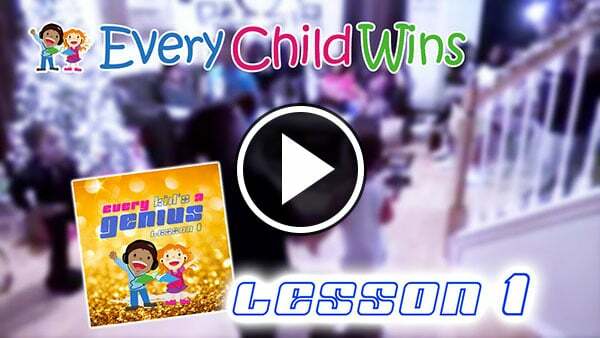 Watch children dance to some of the above songs while reciting the lyrics loudly and proudly. As you can see, the kids are freely expressing themselves having fun and getting lost in the moment. The parents are proud and grooving to the beat as well. The whole time the kids are learning valuable lessons both in movement and in education. Classrooms – Many early childcare programs have began adding these songs and similar songs to their curriculum. Classrooms are perfect for music and movement songs because they are filled with big open wide spaces and they are safe. Parks – Besides the classroom setting, one of the best places is the nearest park. You can’t beat fresh air, sunlight, nature, beautiful scenary, wide open spaces, and the ability to yell as loud as you want. Home – You’re already there. These songs can be played during your morning routines. They can also be used as general background music while cooking, mellowing out, or just trying out some new dance moves. Sleepovers – Whether you’re inside or outside, these songs will keep all the kids happy during the sleepover. If some of the kids there don’t know the song, watch the magic that happens. The kids that know the words will proudly sing them to show off. Those that don’t will want to learn them so bad that they end up replaying the music, but learning key fundamental concepts while in the process. Car Rides – Nobody said that traffic had to be boring. Get your sing and rap on together. You can educate your child while waiting for those stupid cars in front of you to move. You won’t even notice that you’re running late. Field Trips – These make for the perfect bus songs to and from the field trip destination. Watch your kids turn up, but in a safe way of course. Birthday Parties – Birthday parties are where kids get to let loose and eat cake. Play these songs so they can really move around but still learn in the height of excitement. Talent Shows – Got a talent show coming up and your kid is not that talented yet? Just pop on one of the songs and watch your son or daughter be amazing on stage. All Other Family/Kids Events – This music is certified at all general family events: parties, BBQs, vegan BBQs, graduation celebrations, and more. Teach them right and teach them well. Music and movement is the key to fun, happy, and educational times for your kids. The music that helps kids reach higher levels of intellectual achievement. Turn your typical commute to an all out jam session with your kids. See the smiles on their faces and beam with pride as you supply them with the right tools for a bright and successful future. By clicking Subscribe, you are letting us know just how awesome you really are.